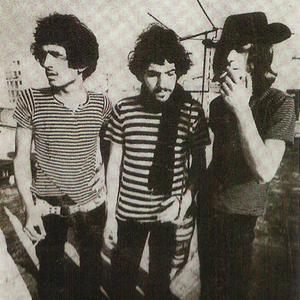 ''Pappo's Blues'' was a Rock/Blues band from Argentina. Led by Pappo (Norberto "Pappo" Napolitano), it suffered a constant change of musicians throughout its life. In 1971 Pappo's Blues recorded its first album, called simply "Pappo's Blues". The second one, "Pappo's Blues Volumen 2" was recorded in 1972. By the time in which they recorded the third album (Pappo's Blues Volumen 3), there had been two changes in the group: David Leb?n (bass) left, his place taken by C.A. Machi Ruffino, and Black Amaya was replaced by Pomo. In 1971 Pappo's Blues recorded its first album, called simply "Pappo's Blues". The second one, "Pappo's Blues Volumen 2" was recorded in 1972. By the time in which they recorded the third album (Pappo's Blues Volumen 3), there had been two changes in the group: David Leb?n (bass) left, his place taken by C.A. Machi Ruffino, and Black Amaya was replaced by Pomo. The recording of Pappo's Blues Volumen 4 was marked by the return of David Leb?n and Black Amaya and the incorporation of Alejandro Medina. On the same year the discographic company edited "Tri?ngulo" and in 1975 "Pappo's Blues Volumen 6" with songs that had already been recorded, in which Pappo played with Eduardo Barbagnatti and Eduardo Beaudoux. In 1978 Pappo, this time with Alejandro Medina playing bass and Dar?o Fernandez with the drums, recorded Pappo's Blues Volumen 7. On November 14th 1980 the band officially dissolved, but "Pappo's band" kept playing occasionally. The band recorded Hombre Suburbano in 1994; Caso Cerrado in 1995 and Auto Rojo in 1998.